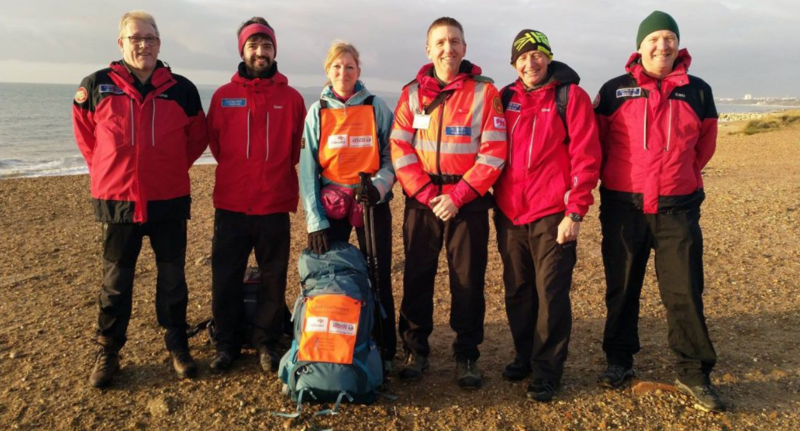 Beth is undertaking her mammoth task of walking the entire coastline of Great Britain to raise vital funds for two charities; Lowland Rescue and the RNLI. Starting her journey from the RNLI's Tower lifeboat station in London back in October 2018, Beth has so far walked the coastline of Kent, East Sussex, West Sussex, Hampshire, and Dorset and has now crossed over the border into Devon. Whilst in Dorset, DorSAR members assisted Beth with her efforts by providing accomodation and moral supporting, walking different legs of the Dorset part of her trip. Read more about Beth's fundraising walk on her official website. Follow Beth on her official Facebook group. And donate to Beth's cause by visiting her official donation page.